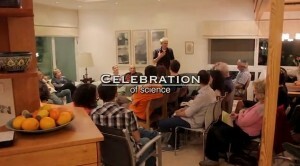 Israel marks National Science Day with lectures in unlikely places. Like other people’s homes. On National Science Day in Jerusalem, people can celebrate science in the most unlikely venues. There’s Professors in Slippers, a lecture by the president of the Hebrew University of Jerusalem at the home of Alon and Naoma, who are opening their house to perfect strangers. There’s coffee, cake, art and science at the Israel Museum in Jerusalem. There’s a toast to be raised – and a lecture to be delivered – at the Einstein Pub because National Science Day coincides with Albert Einstein’s birthday.